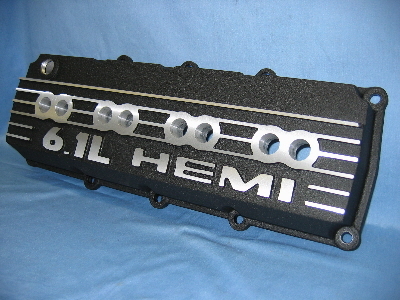 Custom Aluminum Valve Covers 5.7L Hemi, 6.1L Hemi, 6.4L Hemi Custom Aluminum Valve Covers 5.7L Hemi, Custom Aluminum Valve Covers 6.1L Hemi, Custom Aluminum Valve Covers 392 Hemi, Custom Aluminum Valve Covers 426 Hemi, 5.7L Hemi Valve Covers, 6.1L Hemi Valve Covers, 426 Hemi Valve Covers, 392 Hemi Valve Covers, [Crank Shop Hemi Valve Covers] - $599.99 : 3rd Strike Performance, Your Source for Late Model MOPAR Performance Parts and Accessories! Optional Spark plug wires are available in red, blue, and black. Optional Coil mount brackets available in various configurations - choose the one that fits your application! 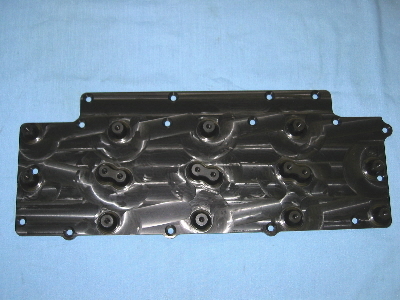 *Note: Due to the nature of the manufacturing of these valve covers, there may be casting/production marks show through the finish. These are unavoidable on powdercoated items. However, we will try to reduce as them as much as we can. Also if you want the fins/numbers unfinished, please understand this a raw finish product, the fins/numbers will not be polished! Standard finish is raw cast aluminum. 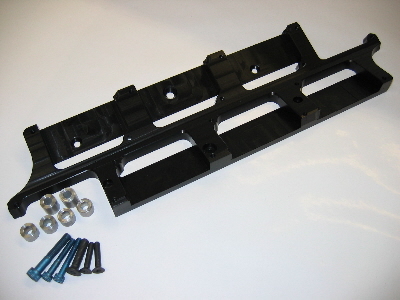 These are available in powdercoated finish, Factory Paint code finish, or standard Paint finish. For powdercoated finish please select "Powdercoated" from the "Finish" menu, and then select your preferred color. Please bear in mind that powdercoating takes 2-3 weeks additional turn around time and additional costs are involved. *Note: Coil brackets can not be powdercoated. We can not keep the paint out of the mounting holes. Please do not request for them to be done. Factory Paint finish is available. Please select "Factory Paint" from the "Finish" menu and enter your paint code in the text area. Please bear in mind that Factory Painting takes 2-3 weeks additional turn around time and additional costs are involved. Standard Paint finish is available. Please select "Standard Paint" from the "Finish" menu and select the color you want them painted. Please bear in mind that Standard Painting takes 7-10 business days additional turn around time and additional costs are involved.